This is my on-the-record public written statement regarding recent events involving my dream sequence and the subsequent media engagements. Here is the order of events that occurred that I am discussing today. I published an article entitled, “I Was Invited to the Inner Earth,” in which I described an intense dream I had the night of May 1st, where a woman from the Inner Earth gave me the option to leave the surface and join the Inner Earth without having the option to come back to the surface. Later that day I engaged in a deep meditation where I was able to telepathically communicate with her and receive qualifiers about the dream. After this experience, I published the account and received a significant amount of public interest in the article. People were positively charged from my dream, and sent me emails describing their own testimonies of activation and appreciation of their lives on this planet. Cobra (alleged ‘Resistance’ intel operative who publishes content on a web site http://2012portal.blogspot.com/ ) published an article entitled, “Firing the Grid,” in which he explained that certain members of the surface population would be “activated.” The activation might include lucid dreams and visions. People began contacting me and telling me that my dream was synchronistically connected to the post he made describing activations. I published an article entitled, “My Inner Earth Activation: COBRA Called It!” in which I highlighted the similarities between my dream and the Cobra post, “Firing The Grid.” I included references to comments that others made publicly, highlighting the synchronicities. In my article published May 5th, I explicitly stated that I had not researched Cobra prior to my publication of my Inner Earth dream experience, and did NOT issue any statement of opinion about any of Cobra’s claims. At this point in the week, I had not made any public statements regarding my own OPINION of the matters at hand. At this point, I was simply presenting the facts. I presented what happened objectively, as a journalist. NOTE: This is abundantly clear to those who follow everything I am saying up to this point. Read the articles. You will agree with me. This literally means that I stated I needed time to process the similarities between our articles. Next, I concluded the article by emphasizing the importance of each of our missions on this planet. This was a very powerful and empowering statement to make sure that I was spreading the message of personal empowerment and the importance of individual soul mission. The evening of May 9th, right before I went to sleep, it was brought to my attention that Cobra published an article called, “Entry Protocols” in which he described that certain activated individuals would be given the option to leave the surface and join the Inner Earth. He said, “Recent prophetic dream of Teresa Yanaros is a direct result of this awakening sequence and requires a detailed analysis.” He went on to explain how people would be approached, asked to join the Resistance, given a few minutes to gather their things, and then taken into the Inner Earth upon agreeing to go. The caveat was, they would never be able to return to the surface after deciding to go to the Inner Earth. After reading this article, I started crying because I was so taken aback to be included in something that I myself did not ask for. Now it was completely in Cobra’s right to use my article in whatever way he wanted, as I explicitly state in my sharing policies on my web site. However, going to the Inner Earth without having any idea what that meant and not ever being able to see your family again? It didn’t sit right with me. I could never do that. I had to stop and think. It felt like I was getting caught up in something I never agreed to get caught up in. All I did was publish a dream I had, and then an article that discussed the interesting similarities between my dream and Cobra’s article “Firing the Grid.” Now I was looking at an article that was causing so many questions to bubble up from inside me. I started worrying about random psychopaths walking up to people and asking if they wanted to join the Resistance, only to kidnap these people to horrible consequences. You get what I am saying here. There were questions that I definitely had regarding this post called, “Entry Protocols.” I had to be careful about how I navigated this situation, because I am a public person and take my career very seriously. I quickly drafted a response to publish before going to bed. In the article entitled, “Resistance Intel Operative (COBRA) Discloses Imminent ET Contact Protocol,” I wrote a quick recap of everything that had happened up to that point, and then mentioned that Cobra had referred to me in his most recent update. I stated that I was pretty shaken up to see my name in the article and him basically stating almost the exact thing I had experienced in my dream 7 nights prior. I then opened up in an authentic way. I disclosed that I had been going through deep soul activations over the last few months ( I expanded WAY more on this during the live stream I published later). I, once again, ended the article by stating that we are all going through huge initiations right now, and stepping into our collective power in huge ways. I went to bed that night uneasily. The next morning, the internet exploded. People began immediately assuming that because I was mentioned in Cobra’s article that I had somehow jumped on the Cobra bandwagon. The sole mentioning of my name in his article and the fact that I had previously published articles with the name “Cobra” in it meant that I must be blindly endorsing his statements and was brandishing his claims around as facts. This was simply not true. I never endorsed Cobra’s claims. I began receiving a slew of negative emails and comments on social media (including from some people who had previously called themselves my friends). Some people were worried because they didn’t want me to go to the Inner Earth only to be captured by negative factions. Some people thought that I was being mind controlled and my dream was implanted as a way to push Cobra’s “negative” agenda. Some people thought that Cobra had hijacked my dream and used it to push his own narrative that he was weaving through his articles. Some people thought I was using the mention by Cobra to aggrandize myself. Some people were flat out calling me names. You name it, the crap-slinging was running rampant. It was crazy. I decided that I needed to make a public statement in order to fully disclose my opinion of the concept of going to the Inner Earth (that I had yet to state publicly) and to get ahead of the false accusations that were being made against me. In the air of full disclosure I wanted to do a live stream so people could see me in my full authenticity and hear the whole story. In order to provide the full spectrum of my side of the story, I needed to take people much farther back than just May 2nd with my Inner Earth dream. I wanted to give people a platform to come discuss the situation and hear my opinion on the matter from my own mouth. I thought this would put to bed any of these false claims people were making against me, and would demonstrate that I was not blindly endorsing Cobra. I needed people to know that it was not my intention to endorse NOR trash Cobra, as I am only the authority on my own experience, not Cobra’s. Most importantly, I NEEDED to make SURE that people KNEW it was IMPERATIVE that they NEVER let ANYONE take away their personal sovereignty. This was the most important point. I made a statement on Facebook that I was going to host a LIVE stream on Facebook on Friday, May 11th. I hosted a live stream that lasted approximately 45 minutes, starting at 12pm EST. Over 200 people tuned in live, and after the stream was over, 1K people had viewed it. It’s now at over 15K views. If you’re here to ask my opinion of Cobra as a person and of his work, you’re not going to find it here. I am not an authority on Cobra, he is, and moreover from that I’m not qualified to have much to say because it’s only been recently I’ve read his work. if you’re looking for a trash talking session or a blind endorsement, I’m bringing you neither of those. I am here today to give you my side of the story. I’m focusing on my own experience and what happened after, which includes discussion about the latest two cobra posts, and that’s it. I launched into an explanation of my involvement with the community. I come from a background seeded deeply in the paranormal and metaphysical. My family was stationed at RAF Woodbridge during the Rendlesham Forest UFO Incident and subsequent government cover up in 1980. My family lived in Virginia in 1992, during the time of the Seton Miracles, where our priest gave sermons and the statues of Mary cried in front of hundreds of people. I’ve been raised in a family where we always believed in something bigger than us. I’ve been tapped into the idea that magic is real and the truth is hidden and must be uncovered for the majority of my life. I believe this is why I have a propensity to have such incredible super natural experiences. When I was 18 years old, I received a download of how to play piano as I sat at my family’s piano after my beloved cousin died. I’ve downloaded volumes of material I had no frame of reference to understand, only to find out much later it’s significance. In the last year, I’ve began receiving contact by extraterrestrials. Some of these contact experiences have left physical marks on my body, shared dreams with other people in the house on the same night, feeling drugged upon waking up, lost time, and subsequent intense visions. The reason I bring this up is that I AM being initiated. I am in the process of writing my second book about this. My first published book, “What is Magic?” describes my piano download among other incredible spiritual experiences. My second book that I am working on talks all about the crazy stuff that has happened to me over the course of the last year. The reason I bring up all of this background information is that I believe it’s actually extremely important to the matters at hand. The truth is, the scope is much bigger than one dream I had on the evening of May 1st. I am being activated to share these experiences, and am actively working to make that a reality. I am not only being called to share intense lucid dreams and astral travel experiences, but most importantly channeled downloads of technical information that I have been decoding through painstaking research, and much, much more that is happening on a daily basis. It’s also ramping up (more on this later). I will be speaking about these downloads and technologies in depth at ECETI Conference, and Dimensions of Disclosure. The Inner Earth dream was the first time I decided to write an article about a recent intense spiritual experience I had. It got a huge catalyzing response in the first day. I had been holding on to most of my stories for my book and conference talks, but I am feeling guided to share this work with the world because I do believe these experiences are incredibly activating and important. The amount of emails I received from people in tears about how much it made them realize the importance of their soul mission and how much they love their families and lives warmed my heart to the core. This is the most important part of what I want to get across. We ALL need to step into our personal power and lean into our soul missions. We are all being activated. And in my live stream, I opened up to the world about my mission here on the planet. I let everyone know that I am called to be on this planet on the surface. I feel that by leaving everything behind to go to the Inner Earth (in such a capacity as indicated by my dream and Cobra’s update) without knowing anything about that mission would be the same as giving up my personal sovereignty. I also explicitly stated that everyone’s path and calling is different. Some might be called to go because their true path is there, and maybe their true soul family is there. And that would make them not want to come back. But everyone would have to choose that for themselves. And also, I stated that just because some might go to the Inner Earth in the capacity of never returning, that does not mean that other missions would not also arise and allow all sorts of people to come and go to different places on, in, and above the planet in order to actualize their soul mission. Just because Cobra was talking about one type of soul activation, that does NOT mean he was saying that was the ONLY soul activation that would occur. I also said I am not sure if the Inner Earth option is even a real thing, all I know is my experience. Someone asked if Cobra could be spreading a negative agenda, and I said it could certainly be possible (I took an open stance on this; saying it’s possible does not mean it’s true!) so everyone needed to make sure to use their judgement and make sure to go back to the concepts of not giving away their personal sovereignty. Lastly, I stated CLEARLY that I think some people get lost in fantasy and hold onto a desire to go to the Inner Earth (and other places off-planet, etc) because they are falling prey to escapism. We need to cherish our lives and our paths (again you must choose what this means to you). Everyone needs to RESPECT one another’s paths. My path is not more or less important than yours. My path is sacred as is yours. I believe my dream was given to me to disseminate information to the public. Now it’s up to people to distill the nuggets of wisdom in every moment of their lives. To me, through this experience, I have been given a beautiful opportunity to celebrate my life on the surface of Earth, and to give others an avenue to appreciate their lives on the surface too. Most people at this point were completely set straight with the intention of my message. Most of the heat subsided, and people were thrilled to hear I was pushing for personal sovereignty. People realized I wasn’t blindly endorsing Cobra’s message. They also realized I wasn’t trash-talking him or anyone. I was letting the information stand where it stood. I was happy that I made it clear that each of us is sovereign and my experience stood alone. Most people agreed that the dream was an interesting case study for us to consider how wonderful our lives are here on the planet, and how important our soul missions are. Most people were happy, also, to hear I wasn’t planning on leaving down any dark holes to the Inner Earth. But some were still jumping at me, saying that I was spreading negativity due to the fact that I did not take a hard stance against Cobra’s “negativity.” Let me be clear. I’m not afraid of information. My method is to take what people say, look at it, distill what’s important, and move on. I don’t find the need to fling judgements at a person for presenting information. I look at the information as a stand alone data point and decide what it’s worth. If something arises that makes me question character, I’ll deal with that head-on, with integrity. I will talk to the person directly and ask questions. But right now, we are discussing facts of articles published, and my experience. I will continue to move forward with integrity. I respect the process here. But I also refuse to be disrespected by people who refuse to assess the information right in front of them that clearly states I am not pushing a negative agenda. Laura Eisenhower, my good friend and advocate for personal sovereignty and ascension, made a public statement today (linked below) about the nature of my mission here on this planet. Thank you for your support, Laura. “Hey folks — I have been noticing comments on particular threads in regards to Teresa Yanaros and her lucid dream about inner Earth and how Cobra had mentioned her in an article that she discovered. I am pretty shocked that there are negative comments and accusations against Teresa, especially since its obvious no one is really listening to a word she is saying. She is an Ascension guide and being of light number one, but she is also a journalist and journalists are objective and they report to you. She is helping to shed light on something that very well exists, it doesn’t mean she promotes it, is a part of it or endorses Cobra, she is looking at the data and facts and sharing an experience. If certain ones of you can’t just step back and actually listen, I would refrain from showing such a lack of respect and understanding and find some gratitude for the consistent exposure of important information that you get from her. I know Teresa well, she isn’t siding with any agenda and she is Sovereign — she is clear, focused on her own mission and just looking at the information and experiences and being incredibly generous, brave and transparent, by willing to bring us in as well. Teresa has the right to process and perceive things in her own way too and so do you – but this is not so much what the focus is in what she is sharing — cause she isn’t pushing anything, she is opening up a larger discussion so we can all learn and process and be in the know. This agenda to portray me in a false negative light continued to spread like poison by a few people through social media. Due to the blatant misrepresentation of facts and pre-judgements against me and seeing that it wasn’t going away, I began blocking people as a way to protect myself from negativity. As a public person, I deal with an onslaught of hate speech daily, and in the last few days I hit my limit with the drama. I stand by my decision to help myself focus on my mission by removing certain poisonous individuals from my social circle. I want to say THANK YOU from the bottom of my heart to the amazing outpouring of love and support that I’ve received over the last couple of weeks as I traverse this very complicated public situation. I’ve made so many new friends, and strengthened already incredibly strong bonds with those on this road with me. I love you all from the bottom of my heart, especially the ones who misunderstand me and think I am mind controlled. I am especially sending you love that you can release the bonds of fear from your past, and move toward the light in freedom and compassion. 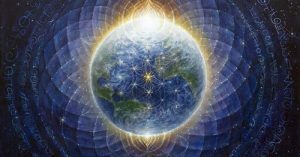 We are all in this together, and the energies of ascension are flowing freely through us every moment. All Around Us Are Pieces of the Gigantic Cosmic Puzzle. Let’s Attune to its Frequency. I hope that this clarifies my stance on what has occurred over the last couple of weeks. If you have any further questions, please do not hesitate to reach out to me directly at thedivinefrequency@gmail.com. This article (I Published a Dream, Not a Blind Endorsement of COBRA) originally appeared on TheDivineFrequency.com and is free and open source. You have permission to share or republish this article in full so long as attribution to the author and thedivinefrequency.com are provided.